LT. 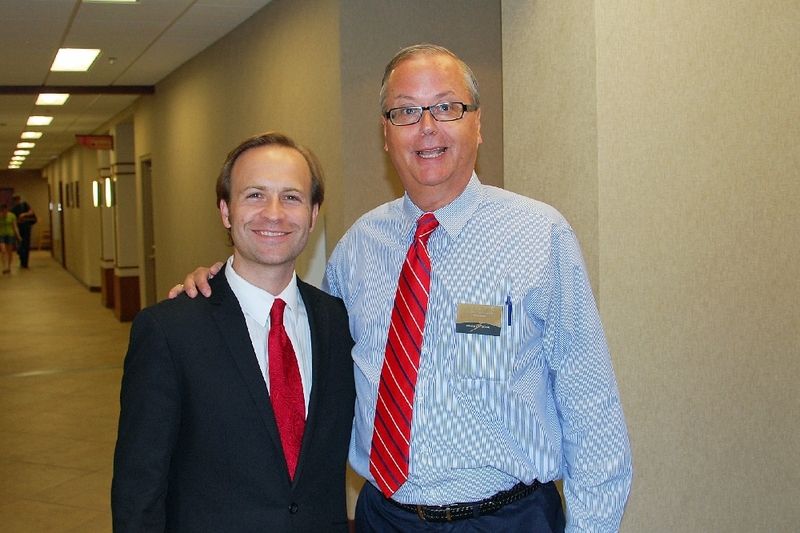 GOVERNOR BRIAN CALLEY VISITS AREA. The main thrust of the visit was to promote and explain the economic plans of the EB-5 Program, which is short for Employment Based Immigration initiatives. Lt. 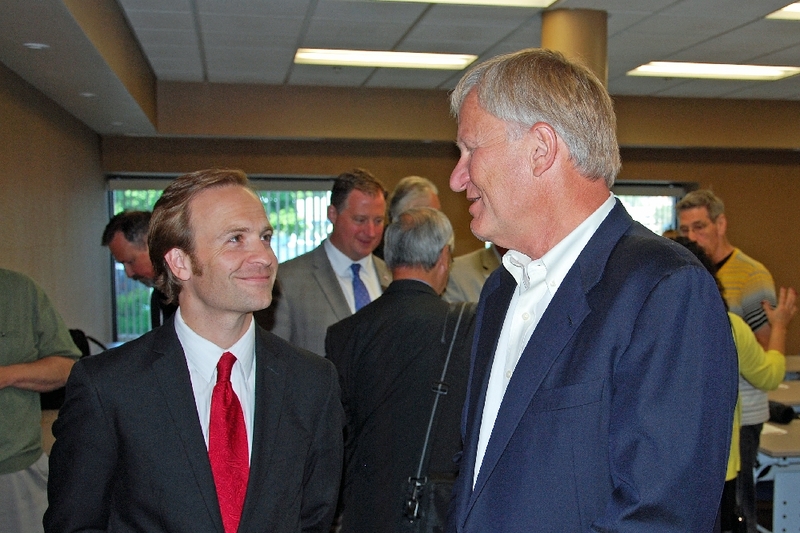 Governor Calley (L) is welcomed by Hancock’s City Manager Glenn Anderson. 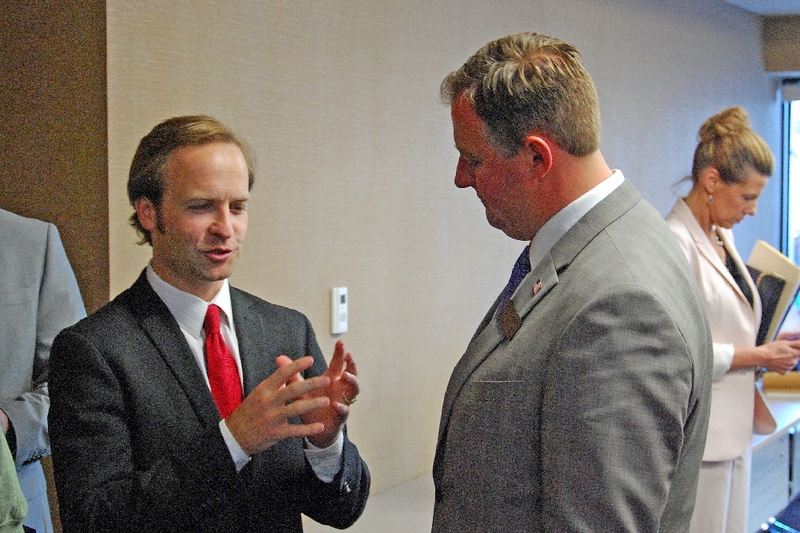 Calley had a prepresentation chance to chat with MTU President Dr. Glenn Mroz. 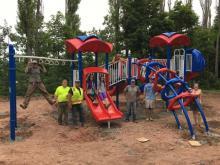 President Mroz opened the presentation with introductions, and the need for this business incentive. And Lt. 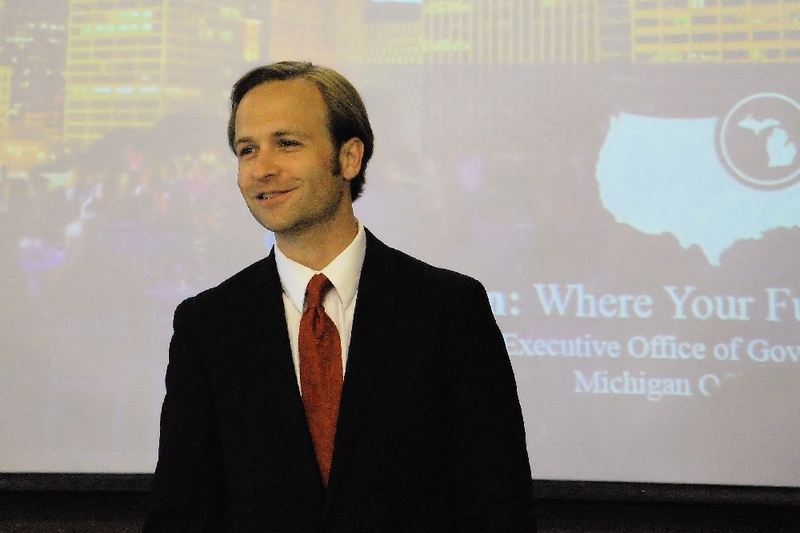 Governor Calley gives the background and basic tenants of the EB-5 idea, which among other goals, is to help retain foreign students educated in MI. 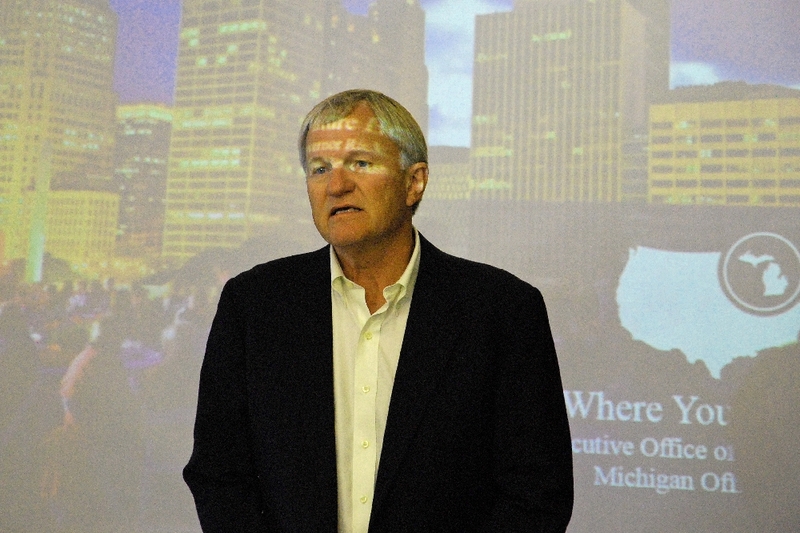 Joe Bergstrum, Director of of Michigan’s EB-5 Regional Center, gives further information. 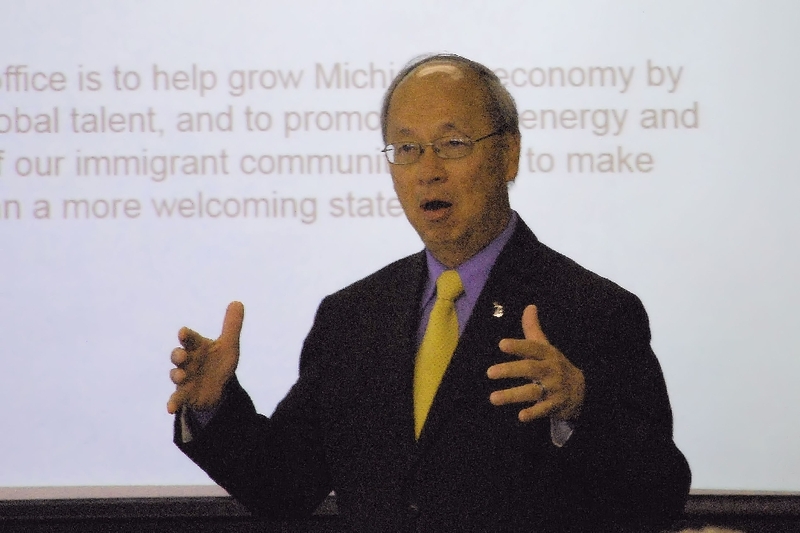 Bing Goei, of MI’s Global Talent Retention Initiative, explains the diversification of the State’s economy through retention of International talent. 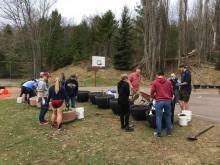 Calley has an opportunity to promote the initiative to MI State Representative Scott Dianda. 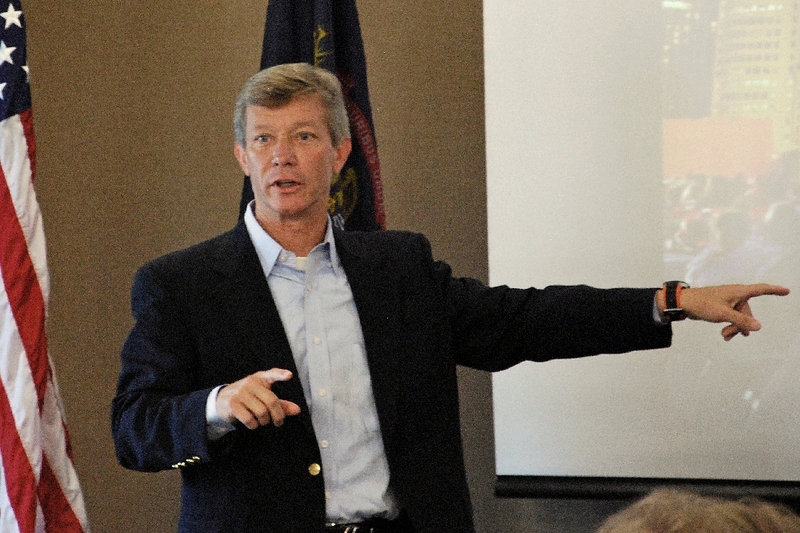 MTU is one of 30 Universities cooperating in this endeavor to expand MI’s economic base.